Pakistan has no intention to interfere in India's internal matters and New Delhi should not make an issue out of his telephonic conversation with Kashmiri separatist leader Mirwaiz Umar Farooq, Pakistan Foreign Minister Shah Mehmood Qureshi has said. 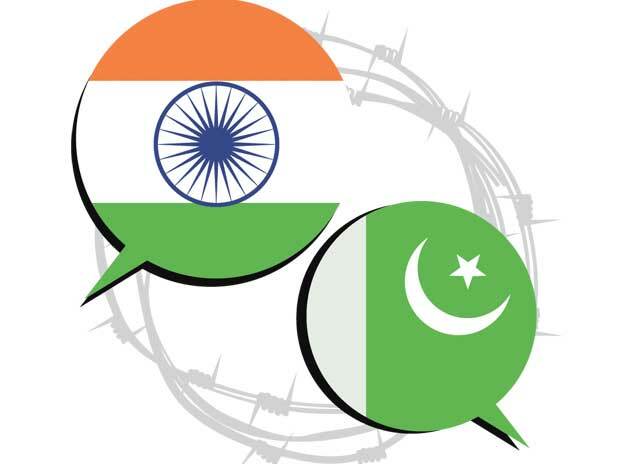 India Wednesday summoned Pakistan envoy Sohail Mahmood and categorically told him that Qureshi's telephonic conversation was a "brazen attempt" to subvert India's unity and violate its sovereignty and territorial integrity. Mahmood was "cautioned" by Foreign Secretary Vijay Gokhale that persistence of such behaviour will have "implications". Talking to the media in Multan on Saturday, Qureshi said that Pakistan has no intention to interfere in the internal matters of India, but New Delhi should also stop blaming Islamabad for its problems, Dawn news reported. The Foreign Minister acknowledged that he spoke with Hurriyat leader Mirwaiz and India should not make it an issue. "We want to resolve the Kashmir dispute through dialogue but India is making undue hue and cry," Qureshi was quoted as saying by The Express Tribune. "Issues are emerging in India but Pakistan has no role in that," he said. Qureshi said that he would highlight Pakistan's view point on Kashmir issue at an event in the House of Common in London this week. The Foreign Minister said that election in India was an internal matter and Islamabad would try to hold talks with the new government if it wanted to work with Pakistan. Pakistan's relations with many countries have improved because of successful diplomacy of the incumbent government, he claimed. He said Saudi crown prince would visit Pakistan this month. "New agreements will be signed during his visit," Qureshi said. The Pakistan Foreign Office said Tuesday that Qureshi spoke with the Hurriyat leader and discussed with him efforts of Pakistan government to highlight the Kashmir issue. In New Delhi, the Ministry of External Affairs asserted that the entire Jammu and Kashmir "has been, is and shall remain the integral part of India and that Pakistan has no locus standi in any matters related to the State of Jammu and Kashmir, has been made clear again to the High Commissioner of Pakistan." According to the government sources in New Delhi, India was particularly anguished over Pakistan's statement on Tuesday, sharing details of the conversation that centred around the Kashmir issue. Though Pakistani leaders may have telephoned separatists in Kashmir in the past but perhaps, it was the first time in recent years that Islamabad put out a statement highlighting the talking points which New Delhi felt was a clear case of violation of the red lines, the sources said. Meanwhile, Pakistan's major political parties issued a joint declaration at the end of All Parties Kashmir Conference on Saturday and said that peace in the region was not possible without resolving the Kashmir issue. The declaration called on the Pakistan government to prepare an effective foreign policy to resolve the long-standing issue of Kashmir.